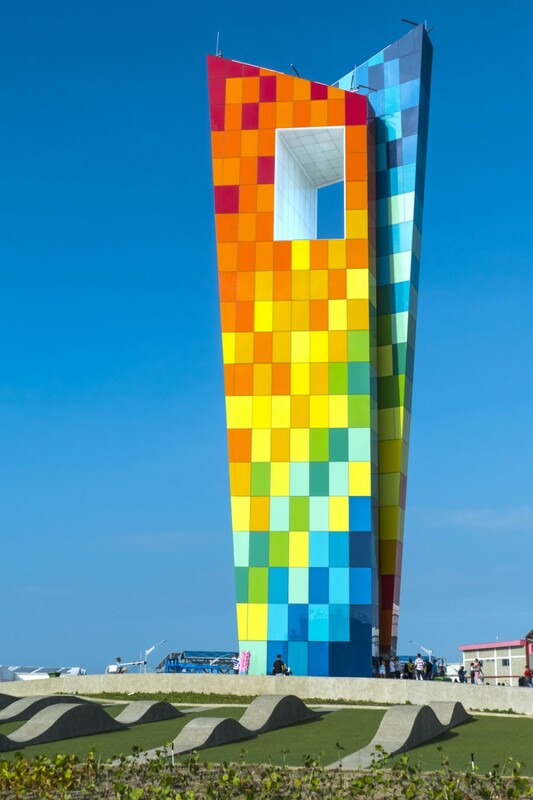 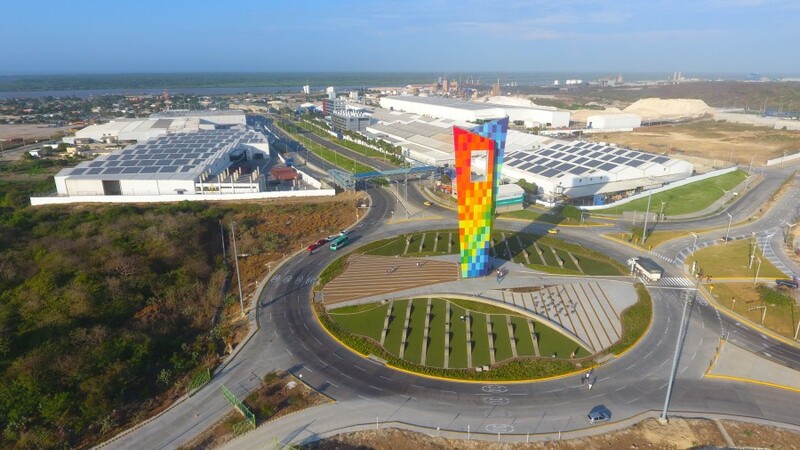 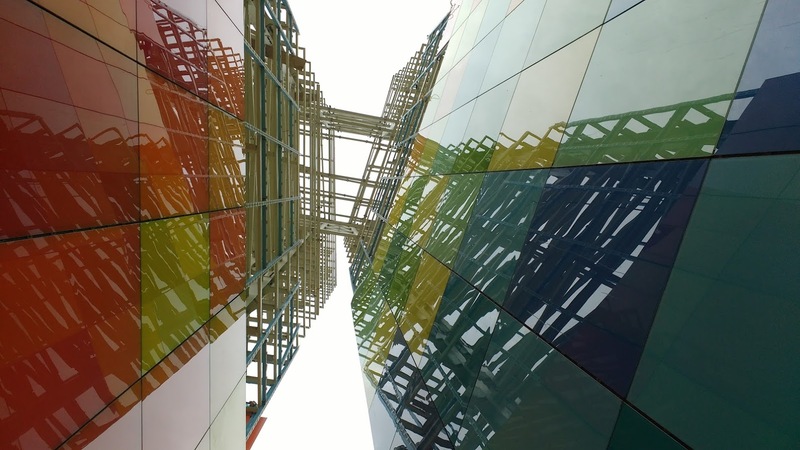 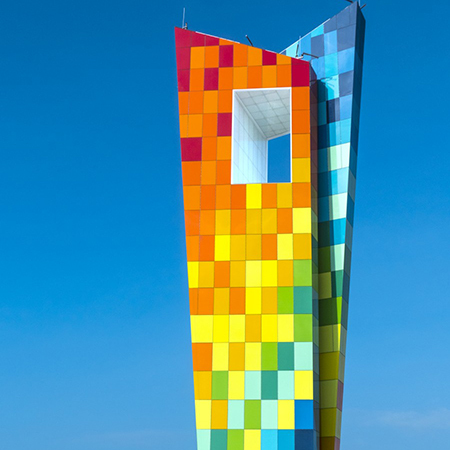 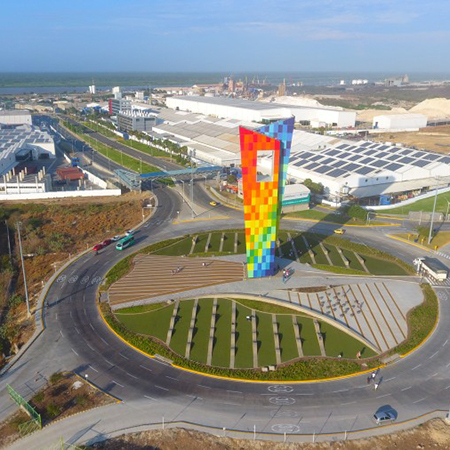 Kuraray have supplied their Trosifol™ interlayers for ‘The Window to the World’ vibrant multi-coloured monument in Barranquilla, Colombia. 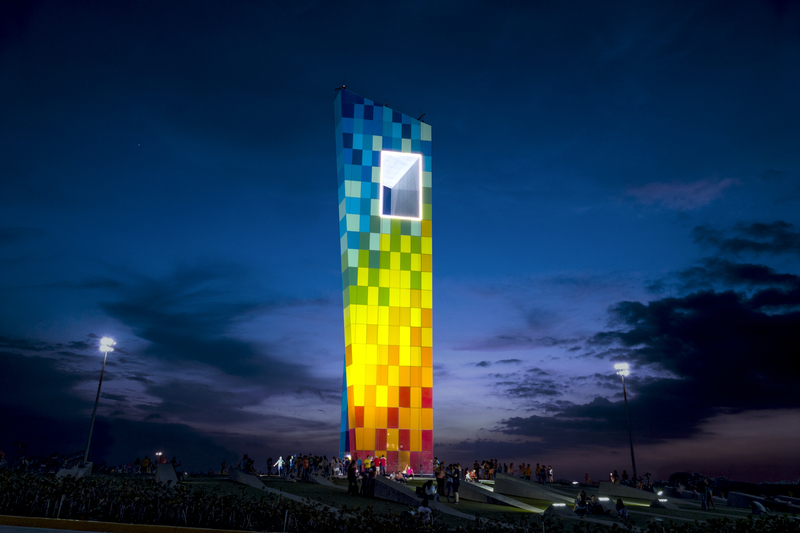 The monument uses a huge steel and aluminium frame to support more than 2,000 m2 (21,500 ft2) of colored laminated safety glass. 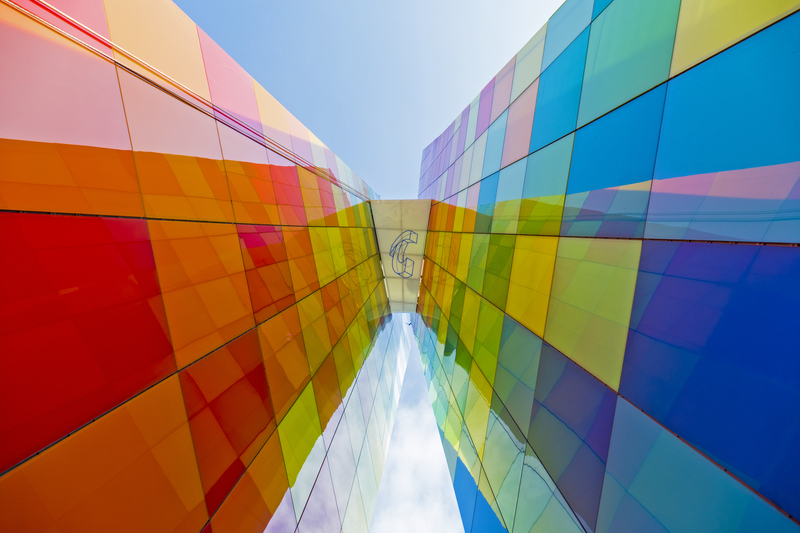 The Laminated safety glass had to ensure longevity and clarity for the landmark to remain as vibrant as possible. 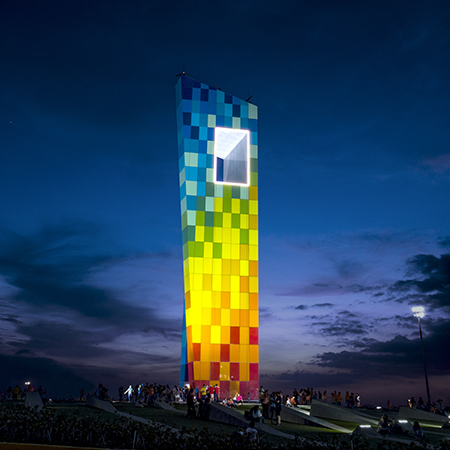 The top and horizontal surfaces of the monument featured a a 1.52 mm SentryGlas® ionoplast interlayer, sandwiched between two 6 mm low-iron glass panes. 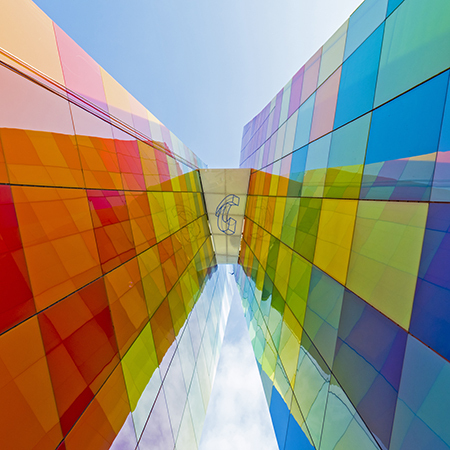 1.52.mm of SentryGlas® interlayer was used at the bottom, between 6mm and 4mm panes. 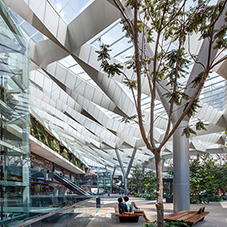 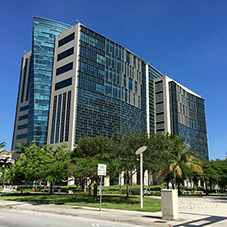 1.14mm of the Trosifol® Ultra Clear polyvinyl butyral (PVB) interlayer was used for the main body of the beautiful building. 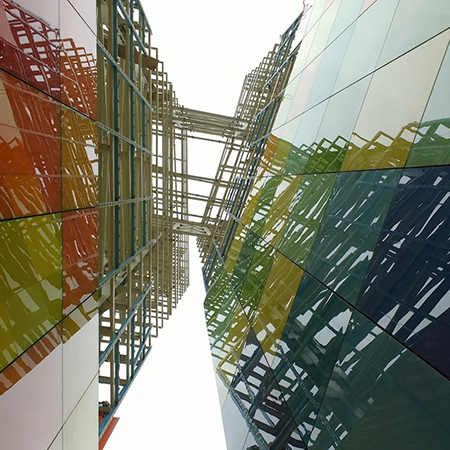 As part of the Kuraray Group, Trosifol® is a leading global producer of PVB and ionoplast interlayers for laminated safety glass.